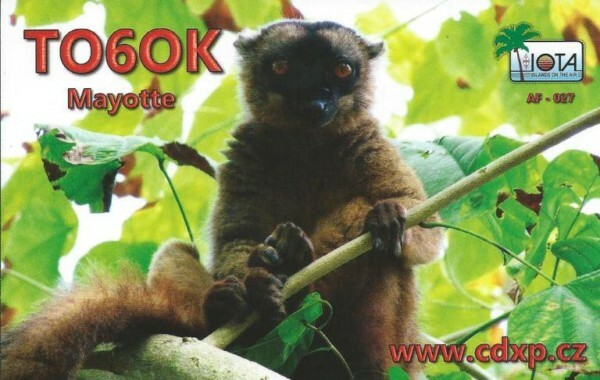 Mayotte (FH) is a French overseas department located in the northern part of Mozambican channel in the Indian Ocean is one of the four major islands of the Comoro group of islands, but it does not belong to the Union of the Comoros (a DXCC country D6). It’s area is about 400 square km (i.e. a bit smaller than the city of Prague). Its population is about 200 thousand people. The highest mountain is called Benara, about 660 m a.s.l. The official language is French, but some people speak Shimaor. As it’s a French territory, the euro is used as currency despite it being over 7000 km from Europe.